CAPE CANAVERAL, Fla. — NASA’s Launch Services Program (LSP) announced Friday, Feb. 1 that the agency’s Lucy mission would be sent to space using a United Launch Alliance (ULA) Atlas V rocket. 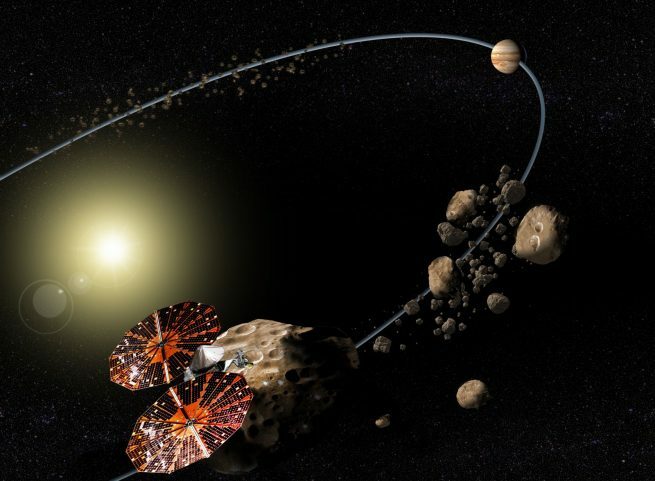 The Lucy mission, scheduled to launch in October 2021, is to be the first mission to Jupiter to investigate a family of asteroids that lead and follow the massive gas giant. Lucy gets its name from the fossilized remains of the hominin species Australopithecus afarensis that was unearthed in Ethiopia in 1974. The skeleton was nicknamed “Lucy” by the team of researchers that discovered it. The Jovian mission is designed to study the Trojan asteroids orbiting near Jupiter. Trojans are asteroids that are located in stable locations relative to a larger planet or moon. These stable areas are known as Lagrange points, named after the french mathematician Joseph-Louis Lagrange who predicted their existence in 1772. Materials contained in these asteroids may be remnants from the formation of the outer planets. Over the course of a 12 year journey, the Lucy spacecraft will visit and study seven of these Trojan asteroids. Scientists speculate these time capsules could provide insight into how the Solar System formed over 4 billion years ago. For this mission ULA has chosen to use the Atlas V’s 401 configuration, which features a payload fairing that is 13.1 (4 meters) wide and is capable of placing 10,472 pounds (4,750 kilograms) of payload into geosynchronous transfer orbit. The 401 variant has successfully completed 38 missions to date. 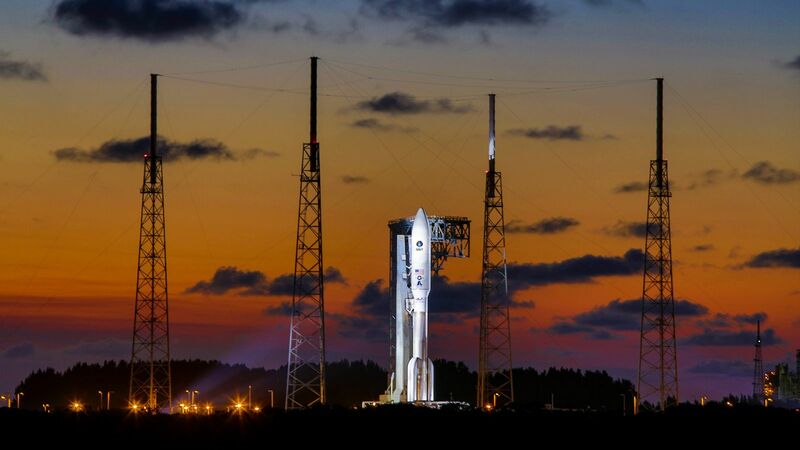 The Atlas V was selected under the NASA Launch Services II contract using a Launch Service Task Order evaluation. The vehicle has a strong flight heritage of launching planetary missions for NASA. Some of these missions include New Horizons, which just recently returned images from the farthest studies solar system object (Ultima Thule); OSIRIS-REx, the first U.S. mission to return asteroid samples to Earth; and the Solar Dynamics Observatory to study the Sun. The Lucy mission will begin its journey from Cape Canaveral’s Space Launch Complex-41 in Florida.